Well to be fair they really didn't say WHY his permit was denied. If they do 80 a year and his application is #81 he has no case. Reapply next year. And why would his book cause a stir? If you think it's absurd don't buy it but don't get down on them for trying to sell it. Besides, everyone knows the Grand Canyon was created by Paul Bunyon dragging is double bladed axe behind him as walked to Colorado after cutting down the Mojave Forest. Edited by ShadySands, 20 May 2017 - 01:41 PM. 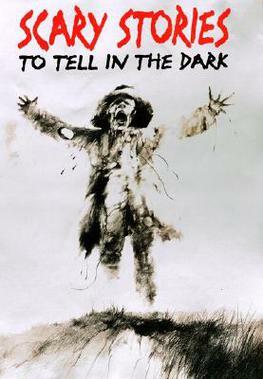 I'm still pissed the schools banned my favorite books growing up, scary stories to tell in the dark. The art style and stories gave me my love for horror and accepted and finally bonded with my dad with our family times of watching horror movies. All good, I got a copy with original artwork and when the time is right, read that to them on Halloween. I ought ti apply for a permit. When that ask why I'll say at want to glue googly eye on the rocks with a smiley face and a caption that says "I saw the Grand Canyon". If I get approved THEN he can sue! I'd never heard of it until I looked up just now. But friends let me tell you, some of those stories are old. A hell of a lot older than a book from the '80s. It's pretty cool to see them all collected in a book though. Your library banned this RNdevil? I wonder why? I bet they had all of Poe's books. Same kind of thing. It actually made the most challenged book in school for quite a few years or something like that. Yeah it was awesome because it introduced me into the older stories when your at an age to only know the generic ones. Edited by redneckdevil, 20 May 2017 - 02:34 PM. I can always remember my first attempt to read Bram Stoker's Dracula when I was 8, and getting terrified by Harker's descent into madness and ending up in the asylum after escaping the castle. That was what I selected for my kids the first horror movie. I thought a great choice because that was the best introduction I could think of for a one of many representation of evil. Such is the fate of traitors. That's not an entirely fair characterization. The United States in those days was nothing like it is today. It really was a union of 33 largely independent states by today's standard. The power of the Federal Government was weak compared to today. If you were a citizen of Virginia you were more likely to consider yourself a Virginian than an American. Gen George Thomas was an excellent commander. He served under Grant in the west and won a number of major victories. He was outnumbered at Chickamunga and held against Johnson. He defeated Gen John Bell Hood at Franklin & Nashville, which essentially knocked Tennessee out of the war. He was born in Virginia and chose to remain with the Federal army. You could actually make a case he was more of a traitor to his home and family than Lee was. He lost everything for his choice and even was refused command of the western theater by Lincoln despite Grants suggestion because he was a southerner. If the war did nothing else if forged a national identity where there was not one before. Had slavery been killed in the crib during the ratification of the Constitution, as it should have been, the US would be a very different country today. So different it's difficult to even guess what it would look like. I think he'll first have to demonstrate that collecting rocks for research purposes is a religious practice, which would then be protected under the First Amendment. That amendment doesn't protect everything to do with religion. The Cheesecake Factory’s menu is the In Search of Lost Time of the restaurant industry, in that it is far too long and probably includes a madeleine or two. In a Crowdrise campaign launched today, she outlined her mission to coax Gaiman into performing a dramatic reading of the menu ― which, according to Benincasa, consists of at least “8,000 pages,” representing what we feel is a very reasonable estimate. I asked Neil Gaiman if he’d do a live reading of the Cheesecake Factory menu if I raised $500,000 for a charity of his choice. And because he’s not just a great artist but a great person, he said yes. He chose UNHCR, the United Nations Refugee Agency. I want to hit this goal by World Refugee Day on June 20. Gaiman has already agreed to comply with the absurd Cheesecake challenge. If, you know, his fans are capable of scrounging together half a million dollars before June 20. So far the campaign has raised just over $1,400, so Gaiman’s readers certainly have some donating to do. Go ahead, make your strange, seemingly arbitrary, Cheesecake-laced literary dreams come true here. And don’t forget the incredibly necessary hashtag: #neilcake. Edited by Raithe, 23 May 2017 - 02:17 AM. That's not a real thing though. Just because a bunch of twitter wierdos tweet and some blog complains about it, doesn't make it an actual movement. This article is actually spreading the dumbness by bothering to react to it. Ceterum autem censeo Twitter esse delendam. Oh I know there is nothing to this but absurdity. That's why I posted it here and not in the politics thread. But it is silly. On a side note I was reminded of Babu Bhatt's restaurant in Seinfeld, The Dream Cafe, that had every type of ethic food on the menu. I thought it would be cool to have a place like that. Then I realized we do... The Golden Corral! The bad news is the food ain't that good. The good news is there is plenty of it! When police arrested Chatman in connection with the 2014 corner store robbery, he was still on probation. He faced a hearing to reconsider the terms of the probation, where Superior Court Judge Jack Niedrach decided Chatman did likely rob the store, which legally, was enough for the judge to revoke his original probation. Per rules surrounding the first offender status, this meant Chatman was re-sentenced for his original crime. He was ordered to serve 10 years in prison, backdated to his first brush with the law. Six months later, a jury found Chatman not guilty of the corner store robbery. They acquitted him of armed robbery and aggravated assault. Despite the verdict, the judge chose not reinstate Chatman’s probation, according to 11 Alive. Chatman will remain in prison until 2022 for getting arrested for a crime a jury acquitted him of but a judge thinks he “likely” committed while on probation for an earlier charge.